 BOMA wraps you round in the soft comfort of its Classique room, with an area of 15 to 19m². Cozy as you like it, really cool for your trips to Strasbourg: warm African colors, custom furniture, graphic tiles… A chic decoration, refined and warm. Choose between a double bed or two twin beds. A Deluxe Room with an area from 19 to 26m². Its soft bed, free VOD on the big screen and its cozy atmosphere invite you to linger. Vintage and trendy accessories enhance the Extra room. Choose between a double bed or two twin beds. Treat yourself to the Prestige room and spread out across the 25 to 29m²… a real haven of peace. There is even space on the sofa-bed, because a room for two is great, but the more the merrier, right? * Noble wood, colorful fabrics, waxed stools… what a beautiful mix. Top bonus: an espresso machine available in the room 😉 And choose between a double bed or two twin beds.